Driving down a country road on a perfect summer’s day, my convertible top down, and the radio blasting vintage Beach Boys, I am transported temporarily to a younger and more innocent time. The music is the hook; different music can get you to déjà vu faster than the speed of light. This music is the essence, for me, of high school days, when the worst thing that could happen was flunking a course or being grounded, not being a victim of a school shooting massacre. No, we were innocents then. And then came that day in 1963, you know the one. I was sitting in Geometry class when the solemn announcement was made that JFK had been shot. The world stopped spinning. It was as if a national bubble had burst, one of youth, vigor, hope and expectation. When the news was tearfully and unforgettably delivered by (Uncle) Walter Cronkite, my innocence was forever shattered. From there came college, from 1966 to 1970, and what a time to be on campus at a large mid-western university! I went in a sorority girl and came out a war protestor. The psychic change in my focus was head spinning. The year that finally put the little girl from Iowa to rest and brought the serious young woman out swinging was 1968. Somewhere moldering in my archives is a photo of me in my pea coat, long hair streaming, with my PEOPLE FOR PEACE armband on. In February of that year, during the Tet Offensive, the deadliest week of the Vietnam War, 543 of America’s promising young men were killed in action, and 2547 wounded; lives shattered. Some of them were known to me, their names now carved on a wall in Washington. On April 4, I witnessed with horror the live televised killing of Martin Luther King. And only two months later, my idol, Bobby Kennedy was shot down in a hotel kitchen. It is the recent 50th anniversary of his assassination that has occupied my thoughts and memories lately. Both killings brought to you by the ugliness of racial hatred for those who fought against it. I grew up in a smallish town where racism never entered my purview. There were a few blacks in my high school but I have no memory of them being treated or regarded any differently than anyone else. Perhaps they have different memories. I do have more than a passing acquaintance with Anti-Semitism being raised, educated, and proudly identified as a Jew all my life. So racism is personal to me as a human and American as it flies in the face of “all men (women) being created equal.” It is the reason my grandparents made an impossible journey from Czarist Russia so their children and grandchildren could live in freedom. I have never been able to understand how all beings cannot respect others’ differences and accept the diversity of the human experience. What I see now in my country is repugnant and frightening. Emma Lazarus must be rolling in her grave. Racist attitudes at the very top have emboldened those at the bottom. A deliberate pose of not understanding or accepting how others show protest for their racist treatment creates MORE division. So too the tacit silence when others are publicly disrespected. The do nothing response to the violent loss of school children, framing it as a mental health issue when it is clearly a weapon issue allows it to continue unabated. I was devastated, overcome when I heard one of the Parkland students say that his entire life had been spent in the era of school shootings. Imagine, a regular part of the curriculum being drills to deal with a possible shooter. This is the not the world I want to leave to my children and my grandchildren. Two are in high school. I can’t but wonder, will this be the day some nutcase with a weapon of war has a grievance against someone at their school and they are in the line of fire? Will my grand baby be in danger at daycare or in kindergarten? Is any of this too paranoid of farfetched at this point? I was lucky, I guess. I got to have my innocence for 15 years. Today’s children may never experience it unless something changes in a VERY BIG way. 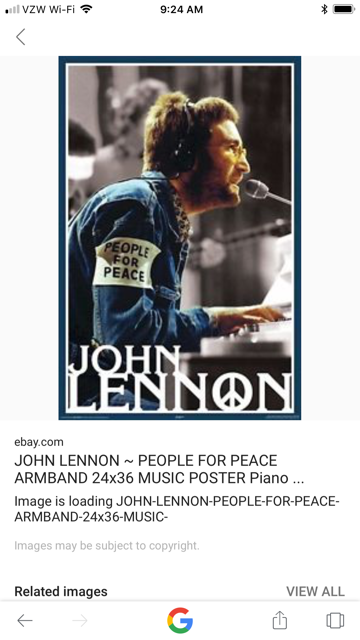 This entry was posted in essay, Uncategorized and tagged anti semitism, Beach Boys, going to college in the 60's, growing up in the 50's, immigration, Jfk assasination, MLK assasination, People for Peace, racial protest, racism, RFK assasination, school shootings, Viet Nam war protest. Bookmark the permalink.